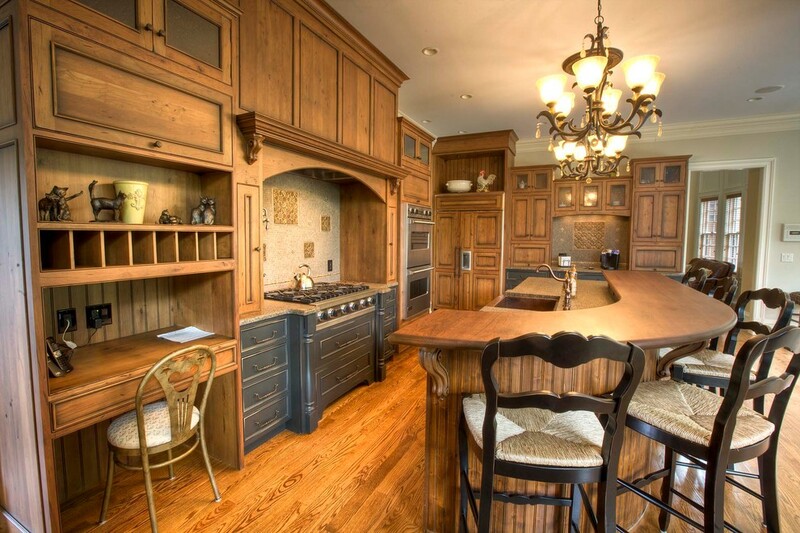 Entirely rustic and yet entirely refined, this kitchen remodel makes a grand statement. 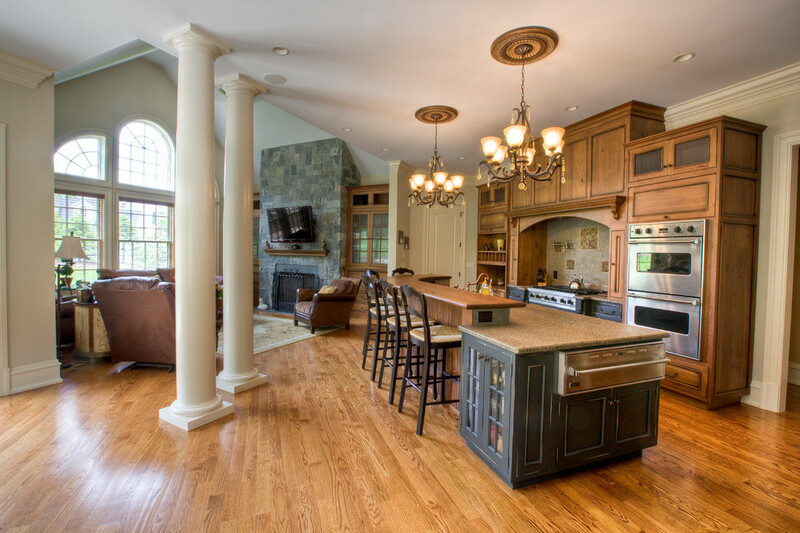 Dual-finished cabinetry and a unique backsplash combine for true wow-factor. Even the living room fireplace received coordinating built-ins to complete the look.